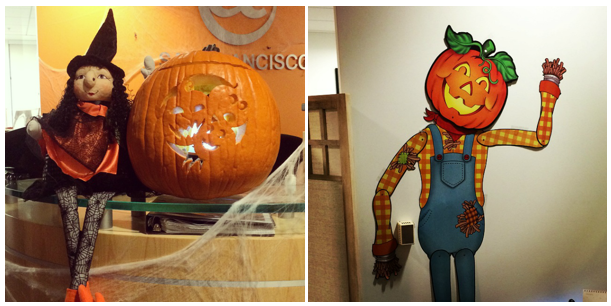 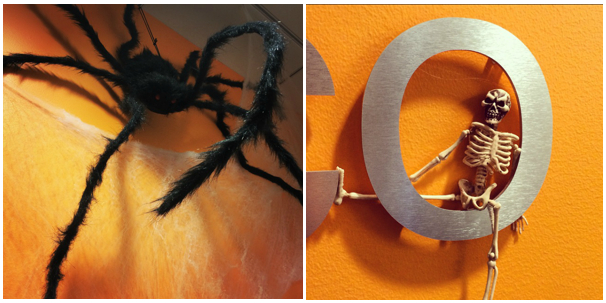 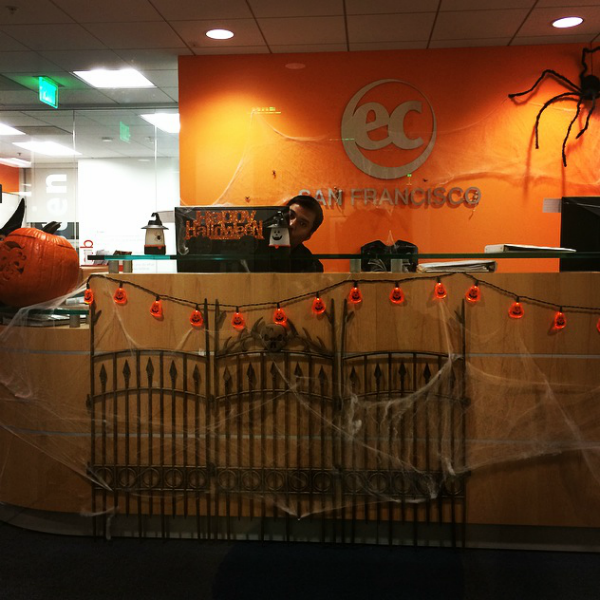 Halloween is now just several days away, and EC San Francisco is getting ready for Friday’s activities by decorating the front desk area! 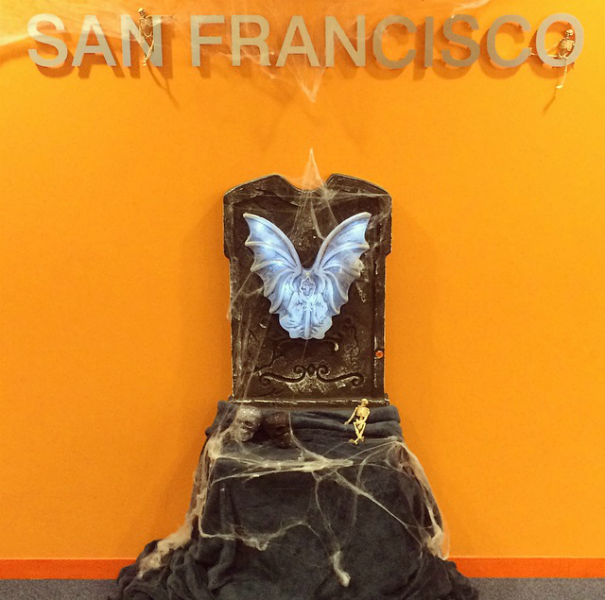 A number of Halloween-themed activities are planned throughout the week, including a ghost walk of San Francisco City Hall, a Halloween outdoor movie screening, as well as a costume contest at graduation on Friday. 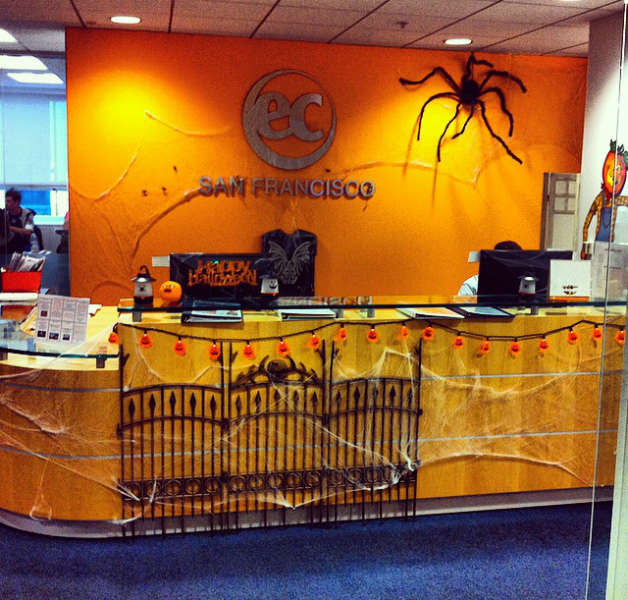 Get involved and enjoy the festivities!